The 9.0m earthquake and 40ft. tsunami double punch killed thousands (7500 and counting) and left a half million homeless. But then the knockout punch: the nuclear crisis began. The fear that has gripped people has done at least as much damage to the Japanese psyche as the earthquake and tsunami. No, I am not writing this from a fallout shelter. The Lavermans are watching, waiting, praying, planning, but also trying to go about life and ministering to distraught people, albeit in unusual circumstances. The scheduled power outages and lines for many things has made the dark, quiet environs feel a bit like a bad edition of "Survivor Tokyo." (We have a single light on in the house). But Japan is pulling together. Our church people are uniting in prayer. GOD IS AT WORK IN A BIG WAY. Keep praying please! We suffered through Friday (Mar 11), but Sunday is coming for Japan! I give thanks for your prayers. 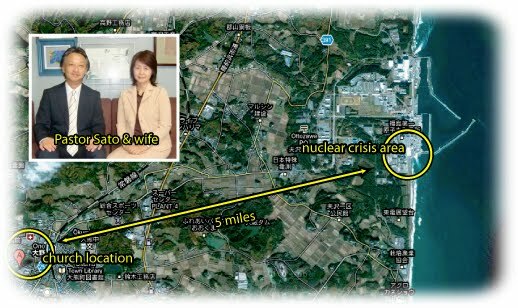 On March 15th at 1 in the morning, my wife and I, having joined a truck which was full of relief supplies, stopped at a local store, taking anything we could get our hands on from shelves, buying it all and filling our trunk and back seat area with these supplies we headed north straight for Fukushima. Though on the way we saw sink holes in the road and houses that had partially collapsed we moved smoother than we expected, yet we also heard about another explosion at the nuclear power plant and the leakage of radioactivity and added to that we heard reports of the enlarging of the evacuation area, prohibitions regarding entering the evacuation are and the like, so though perplexed we chose the inland road. It took 10 hours, but finally we arrived safely in Aizu at the refuge shelter (a church) at 11o’clock in the morning. Hallelujah! About one-third of the 60 church members came from near the nuclear power plant, the radioactivity contamination testing not yet done they then joined us in the afternoon. At that time when we immediately started with a worship service, I began to hear their sobbing voices and I realized just how much each had passed through upon arriving here. In the evening we went to a nearby hot springs and shared the joy of bathing for the first time in five days. We were deeply touched by the kindness of the Aizu Church. One by one, trembling with emotion, I saw them call out and embracing each other saying “You alive!” and the flow of tears fell to flowing again. And all that to realize, they have just started a Gypsy like wanderings, no longer having a home, and I ask these who left with just the clothes on their backs, “Do you need to launder anything?” and when they answer “We have NOTHING to wash.” I cannot find the words to respond to them. When I ask, I find that some of them have had nothing to drink or eat for 3 days; others had spent those days numb with cold. This drifting lifestyle has just started with the pressing need to secure gasoline and a place to stay. This large family of 60 people trying to live together, and making matters worse this is a nationwide emergency in which it is hard to make decisions, so we have decided to head north preparing to establish ourselves, anticipating a protracted situation. Perhaps as a result of exhaustion, there are those who have received I.V. in the hospitals, both the old and the small children, even as God’s people after the exodus, it looks like we will be traveling in the “wilderness”. Will we ever be able to return to that town? Will it become ruins? Will be able to return in 2 or 3 months? When will we again be able to open our front doors to the church and our homes? All seems to be a drift, in the midst of feeling our way we unite our strength guided by the pillar of fire and cloud, no other option but to wander. The day before we left, the police gave a special “disaster relief” certification for our car so we were able to get a full tank of gas. Tomorrow the Yonezawa Church will pay a great sacrifice by receiving in their building. We give thanks for their compassion and sympathy, and we can do nothing but kindly accept this means of survival. It is just like living out a scene in a drama, I never thought I would have this kind of experience in my lifetime. O Lord, may you protect this flock that has begun to wander scattered about in various places like the “Remnant” like a people left behind. Psalms 121 1I lift up my eyes to the hills. From where does my help come? 2 My help comes from the LORD, who made heaven and earth. 3He will not let your foot be moved; he who keeps you will not slumber. 4Behold, he who keeps Israel will neither slumber nor sleep. ONE FINAL NOTE: Mr. S, is a member of this church. 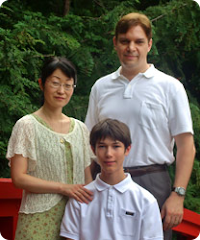 He is currently leading a project team at the Fukushima nuclear facility, helping to restore the power/pumping needs. God has left a witness from this church in the middle of the disaster. * Pray that we can hold a worship service tomorrow (Sunday). We are unsure with the power outages. * Pray that the surging yen would weaken, and the dollar strengthen. It has been going the opposite direction for some time.